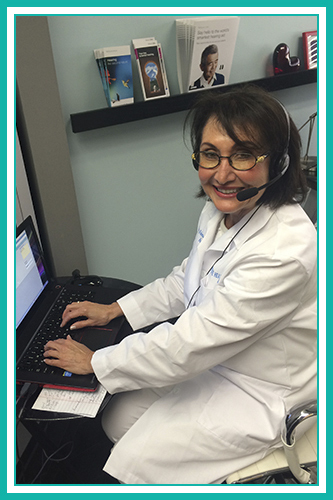 Seeking expert, medical treatment for hearing loss is important. Don’t trust your hearing to anyone but the medical experts at Evolve Hearing Center, get the expertise and attention you deserve. Can hearing devices help nerve loss? Most people that wear hearing devices have nerve loss. What are possible effects of a hearing loss? The effects of hearing loss will vary between each individual but negative effects can include isolation, social withdrawal, speech deterioration, fatigue, inattentiveness, indifference, loneliness, and depression. What symptoms are experienced by someone with a hearing loss? An individual experiencing hearing loss may mention that they can hear but they cannot understand what is being said. Individuals also mention that the person speaking to them is mumbling and not speaking clearly or loud enough. Other manifestations include having to increase the volume in the T.V. and reading of lips when speaking. Individuals also may experience ringing in the ears. Can hearing devices help me understand speech in crowded or noisy environments? Yes. Hearing devices can help you hear better in crowded or noisy environments. Digital hearing devices can be the most helpful as they can amplify soft sounds while not amplifying louder ones. Are there small hearing devices that fit fully in your ear and cannot be seen? Yes. Hearing devices that fit deep in the ear canal, often referred to as CIC (Completely-in-the-Canal) instruments, are almost invisible. Do you recommend purchasing one or two hearing devices? The decision to purchase one or two hearing devices should be made after a thorough evaluation and consultation with your Hearing Specialist. Depending on your hearing evaluation your Hearing Specialist will discuss with you the need to have one or two hearing devices. If you have hearing loss in both ears it is recommended to purchase two hearing devices as you will benefit from better amplification and equal hearing on both sides. What is the difference between hearing devices? Your Hearing Specialist is the best person to advice you on the different types of hearing devices and the benefits and advantages of each. Is it detrimental to not seek help for my hearing loss? It has been proven through research that if your hearing is not used and stimulated often that it will deteriorate more quickly. Therefore it is recommended to have your hearing evaluated to assess what your needs may be.